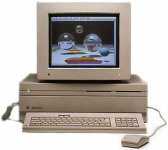 Introduced in 1987, the Macintosh II was the first Mac to deviate from the all-in-one design for the more PC-like modular approach with a separate monitor. 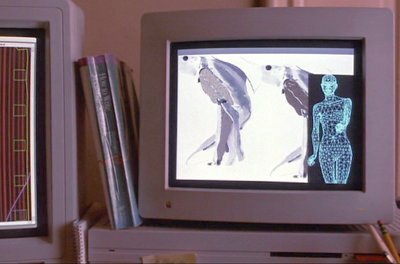 A crooked FBI agent in the witness programme deletes Nick's file using the Mac, after taking a copy on a red floppy disk that reappears from time to time. 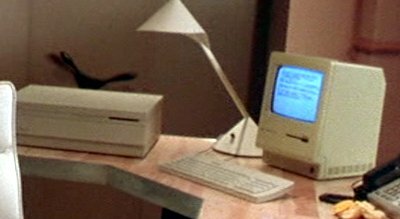 Allie uses the Mac II at home and in the office. 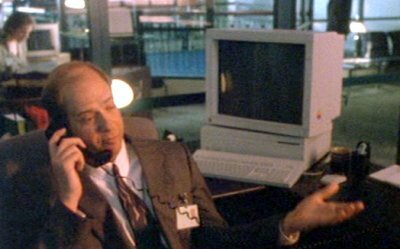 Daniel Clamp's secretary has a Mac II on her desk but it using her Mac Plus in preference. 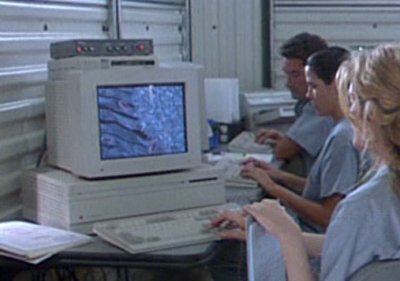 The team investigating the virus use a Macintosh II machine to compare two strains of the virus.